TURNER’s 360° approach to delivering integrated public relations, digital and social media results ensures that our clients are top-of-mind with media, influencers, and consumers. Bermuda has been known for its pink sand beaches, Dark ‘n’ Stormy cocktails and world-class golf courses for decades now. 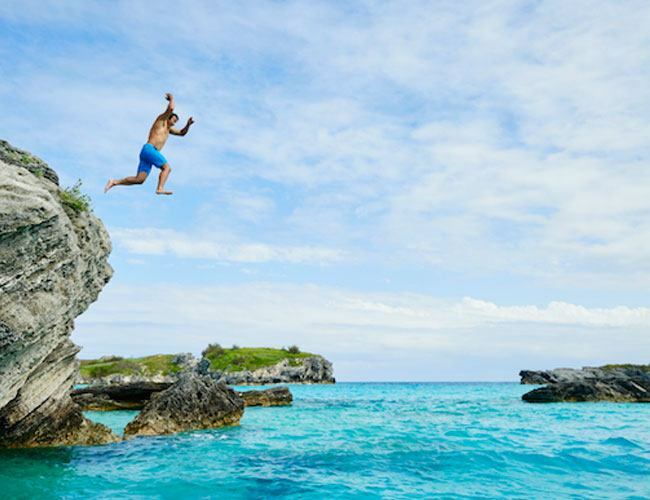 What the island is far less known for is its wide array of adventure travel offerings: incredible cliff diving, deep water solo rock climbing, a historic-railway-turned-bike-trail, and more than 200 shipwrecks to explore, just to name a few. Located in the heart of the Rocky Mountains, Viceroy Snowmass is a year-round playground. Its array of natural assets put it head and shoulders above other alpine escapes. TURNER took things to a higher level with several custom seasonal programs that pleased guests and earned media coverage. Viceroy Snowmass is surrounded on all sides by some of the best trails in the west and world-renowned, often car-free climbs. It culminates in unreal scenic areas like the famed Maroon Bells, Independence Pass and historic Ashcroft Ghost Town. But the hotel hadn’t capitalized on these natural assets. To change that, TURNER developed a cycling program. We used the property’s culinary team, spa and off-site catering capabilities, and built a targeted media list, promoting the program via proactive pitching and individual media hosting opportunities. TURNER devised every detail in this PR and program, ensuring that Viceroy Snowmass was positioned as the ultimate resort for high-end cyclists. TURNER introduced former Pro Cyclist Will Frischkorn (Team Garmin/Tour de France rider) to lead rides directly from the hotel. Will personally guides guests while regaling them with stories of insanely hard race days on the bike and rewarding wins in between. After retiring, Frischkorn opened Cured in Boulder, a purveyor of fine worldly cheeses, wines, meats and accouterments. On day two he organized a full spread of restorative fare, and guests dine in the shadows of Montezuma Basin at the top of Castle Creek, one of Aspen’s most famous road climbs. Viceroy Snowmass boasts a location at the base of one of the world’s finest ski mountains. It is also home to a 7,000-square-foot spa, widely considered the preeminent spa in the area. TURNER brought these two first-in-class experiences closer together by developing an elevated selection of reinvigorating Ski-In / Ski-Out spa offerings. Kick Off Your Boots: A warm bath of Sweet Birch sea salts, and a hot stone and reflexology foot massage. Warm Up Your Hands and Toes: This hydrating hand and foot therapy starts with warm Concreta. It offers conditioning and protection for hands and feet. TURNER’s long lead efforts resulted in a wide cross-section of coverage from an array of print and digital outlets. These included Redbook Magazine, Town & Country Magazine and The Associated Press. TURNER’s work resulted in 186 articles and 492,720,118 impressions. Finally, the new program delivered a measurable increase in revenue, with a 10 percent increase in overall bookings. It’s one of nature’s greatest spectacles – the world’s largest sandhill crane migration brings more than 80 percent of the world’s population of sandhill cranes to the heart of Nebraska. But the event has flown largely under the radar… until 2018. In collaboration with Nebraska Tourism and the state’s central region DMOs, TURNER targeted top media to attend the March 2018 migration, giving the event the national attention it deserves. In tandem with proactive pitching efforts, TURNER invited some of our favorite writers, editors and content producers to experience the migration in person – on both group and individual trips. We promised them an unforgettable journey, referred to by Jane Goodall as the world’s best animal migration second to the Serengeti wildebeests, and delivered. While the trip focused on the crane migration, it also showcased some of Central Nebraska’s best attractions, activities and personalities. Expert-led crane viewing experiences that took media to the largest Sandhill Crane roost on the Platte River, where they spent time with biologists/scientists/farmers who shared insights into the science and the mystery of the crane migration and the river’s unique ecosystem. A private wing sauce-making lesson with Fire Captain Todd Morgan, who turned his tailgating hobby of making wing sauce into the wildly popular and world-renowned Sparky’s Wing & Dipping Sauce. Crane-themed paint and sip lesson in Hastings, NE. A day in Kearney, NE, including a visit to The Archway, flights of beer on brewery tours and more. Photography bling crane viewing experience at the Iain Nicolson Audubon Center. Overnight accommodations and VIP sunset blind viewing experience at the Crane Trust. Our results really took off. Feature article & video on National Geographic: Generated 26+ million UMV, 68 million on social reach and 20K+ views of the 5+ minute video. Feature coverage on Mother Nature Network: Generated 4.7+ million UMV and 1+ million on social. Feature story on Nebraska in Thrillist: Included the crane migration as the “best time to visit Nebraska, other than football season,” reaching more than 11 million UMVs. Best Places to Travel in March on Thrillist: Included Central Nebraska as one of the best places to travel to in in the world for March, specifically for the crane migration. Best Places to Travel in March on Travel + Leisure: Featured Central Nebraska and the crane migration for a March travel destination recommendation to its 3 million+ UMVs and nearly three million Facebook followers. More to come: In addition to the short-lead coverage above, we anticipate a number of long-lead stories to appear in advance of the 2019 migration including Hemispheres, Modern Luxury and Associated Press. It’s a little-known fact that Toronto is one of the world’s most diverse cities, with more than 50 percent of the population born outside of Canada and 230 different nationalities represented. A lot of great things come out this multicultural mix – including, of course, an amazing and ever-expanding culinary scene, with authentic flavors blending with innovative kitchen techniques. TURNER wanted to put the spotlight on this fantastic dining scene in Toronto (which, by the way, is priced much more affordably than in other major metropolises). Watch out, NYC – there’s a new global foodie destination on the rise. The TURNER travel team immersed itself in Toronto’s food world, exploring the city’s five Chinatowns, two Little Italys, Little Portugal, Little India and beyond, along with visits to many hot restaurants and bars. As a result, we became experts on the scene, ready to spread the word to key media. TURNER targeted writers and editors at national travel magazines, travel sections in major national magazines and food-related publications – the kinds of people we knew couldn’t ignore the diverse tastes of Toronto. We organized several individual press trips for media from an array of trendsetting outlets, taking them to the tried-and-true Toronto foodie favorites in addition to lesser-known neighborhood hotspots. It was love at first bite for everyone involved. Bloomberg Pursuits highlighted Toronto on their “Where to Go in 2017” list, noting not to overlook their dining scene and mentions a couple top choices. Canada made Refinery29’s unforgettable trips for 2017, suggesting Toronto’s amazing food scene for those who would rather explore their palette (rather than the mountains). Tasting Table put together a guide to the not-to-be-missed restaurants and bars in TO, including drool-worthy photos from their trip. And Forbes discovered experiential side of Toronto’s food world with The Culinary Adventure Company’s walking and tasting tour of Chinatown and Kensington Market in a round up of the world’s best food tours. Renowned outfitter Fjällräven has its origins in Sweden, but the brand has deep roots in Colorado as well – and it wanted TURNER to help strengthen those roots. So we turned to the Park Hyatt Beaver Creek Resort & Spa, one of the state’s premiere Rocky Mountain escapes, for an inspired collaboration: the Backpack Concierge Program. Fjällräven’s premium, sustainable backpacks are sturdy and stylish – and perfect for Rocky Mountain explorations. To take advantage of Park Hyatt Beaver Creek’s abundant outdoor adventure opportunities, TURNER and Fjällräven implemented a Backpack Concierge Program at the resort for the 2016 summer season. Hotel guests had the option to borrow a Kaipak or RUCKSACK NO. 21 MEDIUM through the resort to use on local hiking trails during their stay. The backpacks came stocked with “Local Secrets” cards, custom-designed by Park Hyatt Beaver Creek’s team, filled with tips on places to go and things to see, from hidden hot springs to dog-friendly hikes. It was almost inevitable that guests would fall in love with their Fjällräven gear – so the program made it easy to take the next step. Those who participated in the program received a 10 percent discount towards future Fjällräven purchases. To get the word out about the Backpack Concierge Program, a personalized package was sent to 14 editors in the travel and outdoor spaces. Each kit included a Rucksack No. 21 Medium, a reusable water bottle, sunscreen, trail snacks and a custom guide to outdoor recommendations near the resort. The program was a hit with both media and guests, strengthening Fjällräven’s presence in Colorado and bolstering Park Hyatt Beaver Creek’s reputation as a resort with out-of-the-ordinary summer offerings. TURNER’s outreach efforts resulted in coverage from Afar, Luxury Travel, Town and Country, Country Living and MSN.com. Located in the heart of a booming downtown and just a few blocks from the Colorado Convention Center, the new Hyatt Place and Hyatt House Denver/Downtown was poised to make a big splash in the Mile High City market. But there was a challenge: the mid-range, dual branded property shared an opening date with a much-hyped airport hotel expansion in the same city, and came on the heels of numerous other development announcements. So TURNER set about ensuring that Hyatt Place and Hyatt House Denver/Downtown’s launch stood out. With a central location, a competitive pricing point, carefully curated local art and Colorado craft beer on tap, Hyatt Place and Hyatt House Denver/Downtown offered a quintessential Denver experience, so TURNER’s pre-opening public relations efforts focused on trade publications, the local market and a national spotlight. We arranged a sneak peek tour for Ed Sealover, an influential Denver Business Journal writer. We also hosted five local media at the property. We secured a partnership with the locally based company, Icelantic Skis, including exclusively commissioned, ski-specific art installations for the hotel, as well as an giveaway for Winter on the Rocks, an annual concert at the world famous Red Rocks Amphitheatre. The TURNER team successfully planned and executed a grand opening media event that was strategically timed to showcase the hotels’ incredible location in the city and vantage point for viewing special city-wide events. The team confirmed 15 media, contributing to local and national outlets, to attend the event. We positioned the property as an example of the burgeoning regionalism design movement, where the surrounding local culture is integrated in the hotel design from the ground up. We created a signature Colorado Campfire Sour cocktail, using local ingredients and tying in the property’s regionalism design influence, to bring a western flair to the property during the height of the iconic annual Denver Stock Show in January. TURNER’s six-month campaign delivered nearly 30 articles, published in a wide range of publications, with impressions climbing to more than 132 million. Highlighting the properties’ downtown centric location, just a couple blocks from the convention center, TURNER secured editorial coverage in group business, industry trade and consumer outlets (local and national). Coverage highlights included a trend-oriented story in The New York Times with a quote from the hotel GM; a feature on the dual-branded property in AFAR; and a feature story with accompanying video sneak peek preview, including an interview with the GM, in the Denver Business Journal among others. Journalists love the word “new.” But what if a destination doesn’t have a fresh attraction or hot event this year? Then it’s time to look at existing assets and see how they might fit into a macro consumer trend or pop cultural shift. Leveraging some amazing established tourism institutions, TURNER garnered national press with an unlikely hook: Geek Chic. In recent years, the tech-savvy, sci-fi-loving, Comic-Con nerd has gone from social pariah to ahead-of-the-curve trendsetter. All of a sudden, geeks are chic. As a result, TURNER saw an opportunity to highlight Albuquerque’s many geek-friendly attractions. Troy Bradley – An adventurer who holds the most world records for hot air ballooning (more than 60!). Larry Crumpler – A scientist who is actively involved in the headline-grabbing Mars Rover expeditions. The Salsa Twins – The guys behind the famed El Pinto salsa shared how they use worm factories and engineering to create their highly acclaimed salsa. Seriously. Christine Anderson – Before it opened to the public, the CEO of Spaceport America led a private tour of the world’s first purpose-built commercial spaceport, which has made Albuquerque the basecamp city for future space travelers. An added bonus? The FAM trip kicked off on May 4th – the international day of Star Wars celebration (“May the fourth be with you”). Because, after all, geeks are all about the details. Albuquerque’s Geek FAM resulted in a diverse range of travel media coverage in non-travel outlets that reached target visitor audiences, such as GeekDad (a WIRED Magazine blog), Atlas Obscura (a trendsetting tastemaker outlet that explores the odd, weird and unknown), Vagabondish (a leading travel and lifestyle blog) and Adventures by Daddy (a family oriented blog written by a biochemist). Along with more traditional placement, the FAM put Albuquerque on the radar of travelers who might not have otherwise known about the city’s geekier side. Every fall, Estes Park – the quaint mountain village that serves as the basecamp of Rocky Mountain National Park – is invaded. No, not by space aliens or Vikings.The invaders are lumbering, majestic elk, who descend upon Estes for mating season. It’s one of the nation’s highest concentrations of wild elk – and TURNER knew that it offered a prime opportunity. Say goodbye to October … and hello to Elktober. We created an evergreen Elktober infographic (see below) that could be used by media outlets that wanted a fun, eye-catching and informative piece of visual content. We championed the charge to create a destination-wide “tailgating” elk-watching offering (the name a play on football season pre-game activities) that we were then able to use in pitching efforts. We timed our NYC media tour in August to capture short-lead opportunities from key outlets. We used b-roll assets of elk bugling to secure broadcast coverage in NBC News. We suggested the idea of a social elk tracking component (#EstesElkWatch); and used a Google map of suggested Estes Park elk viewing spots in pitching. Elkmania! Elktober and Elk Fest are now among the town’s most popular events, with room nights at local hotels filling up during what was once part of Estes Park’s slow season. As a result of our efforts, TURNER secured valuable Elktober coverage in USA Today (who published our Elktober infographic), NBC News, The Active Times, The Weather Channel, Budget Travel and Successful Meetings. Who knew an invasion could be such a good thing? TURNER aimed to make The Mighty 5™ even mightier, increasing awareness of Utah’s iconic Mighty Five National Parks (Arches, Bryce Canyon, Canyonlands, Capitol Reef and Zion) among print and online media, as well as new geographic consumers. TURNER reached out to priority media contacts in the outdoor/adventure and general travel verticals, highlighting appealing aspects of The Mighty 5™, such as guided tours, affordability, popular gateway cities and accessibility, as appropriate angles for current editorial calendars, all-season stories, and fresh takes on the classic American road trip. Our digital team created a Tumblr micro-site packed with inspiring, diverse content (images, video and text) that told the story of The Mighty 5™, drawing from the Utah Office of Tourism’s existing assets, as well as material found throughout Tumblr. Additionally, the team designed the #MyMighty5 sweepstakes, encouraging users to submit their own posts, and lending another level to the authentic voice of the campaign. The Mighty 5™ looks great in photos and videos – but it looks best in person. With that in mind, TURNER secured several individual press visits to one, several or all of The Mighty 5™ national parks. These “solo” trips allowed for a wide variety of narratives, from affordable to luxury to extreme adventure. Thanks to proactive pitching, media visits and the in-market press tour, TURNER garnered coverage in top outlets within Utah’s targeted publications, including Travel + Leisure, Outside, Budget Travel, Sunset, MapQuest.com and ShermansTravel.com. The first social destination marketing campaign of its kind for the brand, the launch of the Tumblr microsite allows Utah to use it during future iterations of the campaign. In addition, the hashtag #TheMighty5 saw nearly 250 Instagram photos over the course of the two-month digital campaign. How do you take the wildly popular Breaking Bad TV series’ potentially polarizing subject matter – meth creation and consumption in Albuquerque, NM – and turn it into a media relations win for the destination? You have to take the good with the Bad. Working off of tourism marketing and social efforts that the Albuquerque Convention & Visitors Bureau (ACVB) initiated, a Breaking Bad-themed press trip to Albuquerque brought targeted national media to filming sites, favorite local hangouts of the cast and crew, film office representatives, and businesses that had a cheeky approach to welcoming tourists and fans of the show to the city. Meanwhile, a pitching campaign showcased Albuquerque businesses visitors could experience – such as The Candy Lady, who made the original “meth” for the show and bike tours of famous sites, not to mention locally-produced items fans could order from afar, including “blue sky” donuts, crystal bath salts, and spice rubs inspired by Los Pollos Hermanos, a fictional restaurant chain on the show. Thanks to integrated destination marketing efforts with the ACVB Coverage, more than 740 articles promoting Albuquerque in relationship to “Breaking Bad” appeared in 2013 alone, including top tier outlets such as People, Budget Travel, Hollywood Reporter, MSN.com, Thrillist.com, TheDailyMeal.com, and many more. The coverage contributed to significant growth in tourism and visitation for the city in 2013 and 2014. Not Bad, at all.